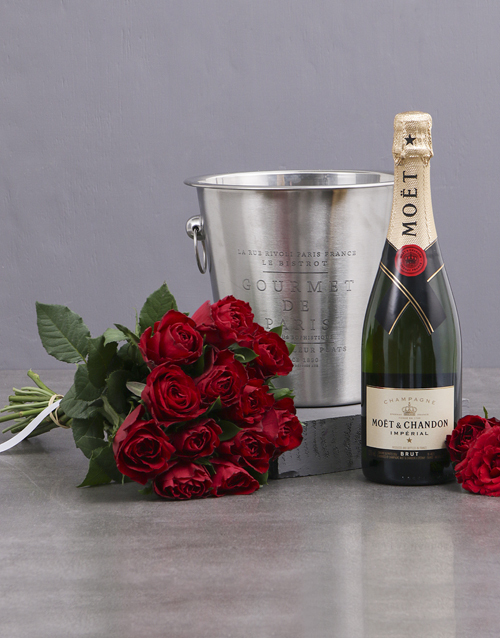 Product Description: less text Make it a romantic Valentine's Day with a gorgeous bouquet of twelve classic red roses which comes with a bottle of Moet & Chandon Brut Non-Vintage and an ice bucket to keep things chilled. The ideal gift for Valentine's Day! Get this Red Rose And Wine Combo delivered with NetFlorist.